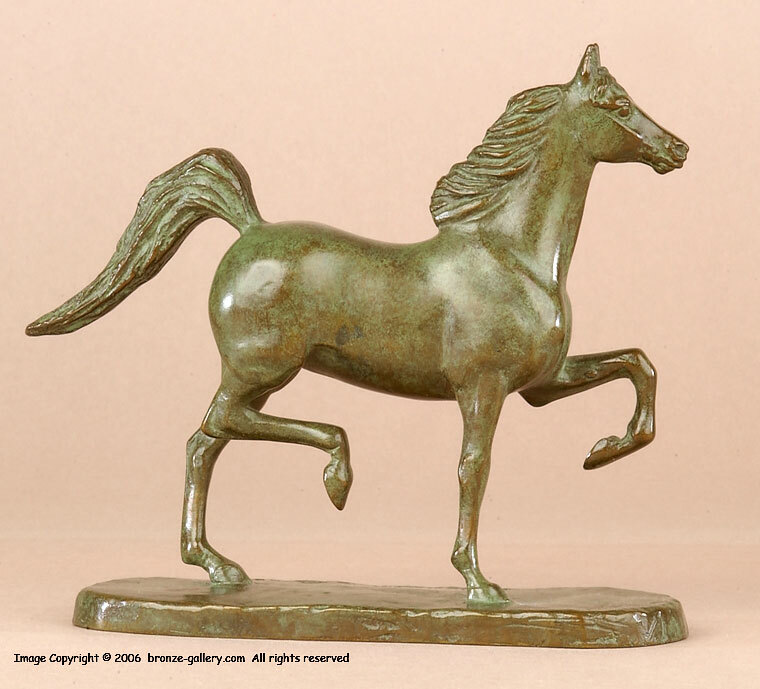 Madeleine Park sculpted quite a few dogs and horses during her career. Many of those were commissioned portraits of treasured pets. 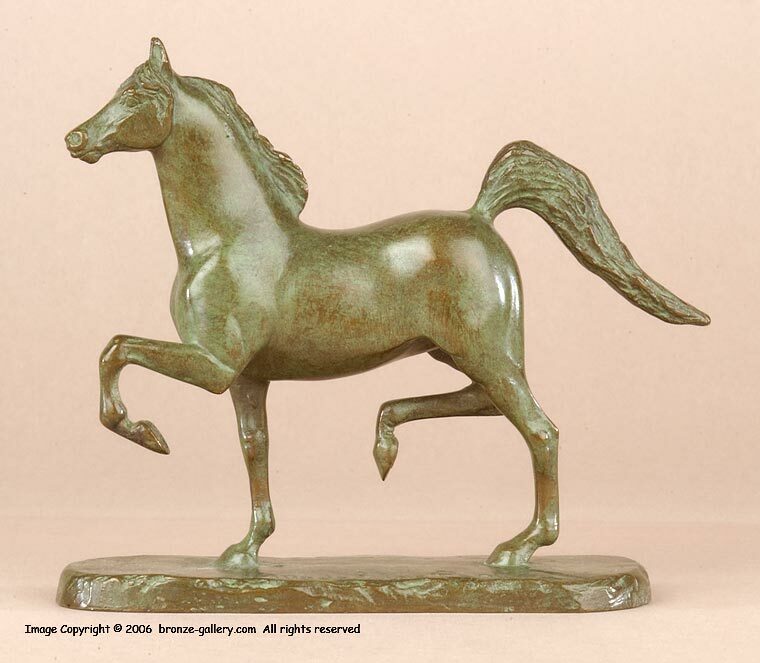 This fine small bronze of a Hackney Horse in full gait was most likely one of her commissions but it does not have the horse's name on the base. It is also unusual because it is a mare, most bronzes of horses are stallions. This proud Hackney mare has a rich green patina and is cast by the Gorham Foundry and stamped "Gorham Co Founders QJAF".